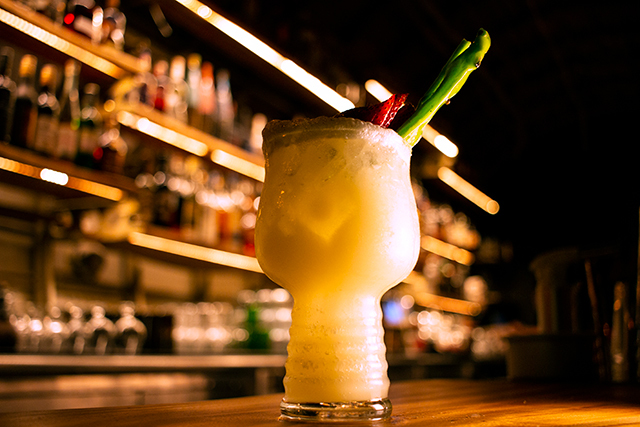 Last Rites Redefines the Desert Island Cocktail | thirsty. 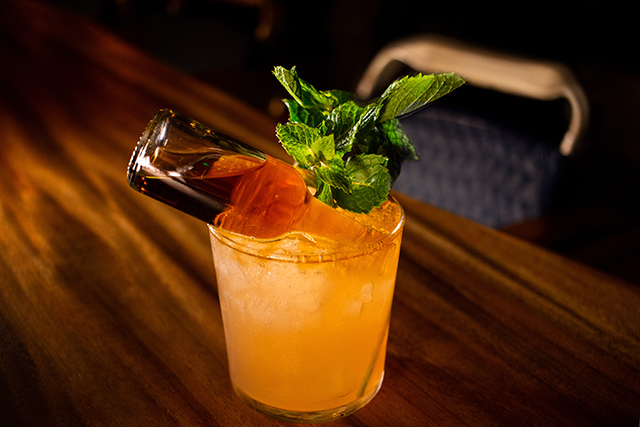 Last Rites, San Francisco’s new “Polynesian Noir” bar, is a gloriously outfitted oasis of cocktail craft. With its floor-to-ceiling skulls and airplane fuselage backbar, the place could easily sling retread tiki classics and do a brisk business. Thankfully, the purpose of the Disney-esque interior is not to distract you from the drinks, it’s to let you know that your libation has been labored over every bit as much as the manically detailed menu you order it from. Now that I have used the t-word, I want to make clear the point that Last Rites is not a traditional tiki bar, and thank the debauched spirits for that. 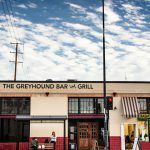 While I respect the brave bar owners who faithfully resuscitated the near-lost works of Beachcomber and Bergeron, my visits to their establishments left my tongue feeling like it’d been left out in the hot sun to die. By and large, the tiki classics have enough citric acid to obliterate every other flavor in the glass, not to mention my taste buds. It pains me to say this. I’ve always wanted to like tiki drinks. Those nine-ingredient recipes seem to promise a Shangri-La of never-before-tasted delights. But it wasn’t until I visited Last Rites that I found the Holy Grail—drinks that are tropical without being too tart. 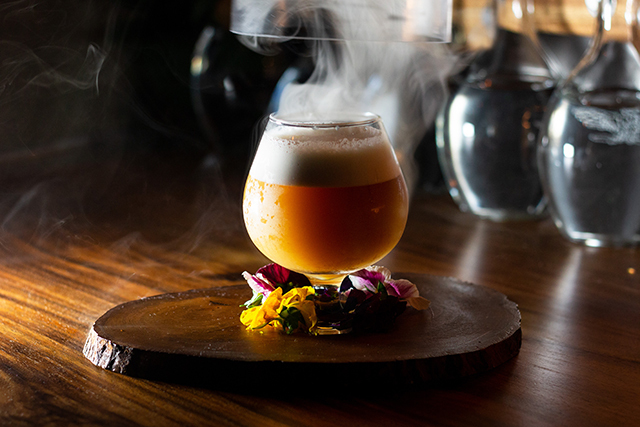 The drink-making team of Sevan Araneda, Susan Eggette and Ian Scalzo have developed a menu that delivers richness, depth and nuance, taking full advantage of the wide range of flavors found between Cancer and Capricorn. Tiki drinks remind me of blues songs, each one sounds more or less like the next, but I’ve never had anything like the Jock Lindsey. The drink features a split base of mezcal and tequila, although it was so pomacey I mistook it for grappa. The sweet/tart element is soft, bolstered by rich, vegetal undertones. Reading the ingredient list, I had no idea how the elements on the page could combine to make that flavor in the glass. This is a masterclass for those who appreciate the way the right group of flavors can transform the sum of their parts into something new. Is it possible to make a Tiki drink without using lime? Lesser deities might not imagine it, but the Half Way Tree is an altar set upon the peak of tiki’s Mount Olympus: overproof rum. The drink is a blend of rums and fortified wines, that’s it. 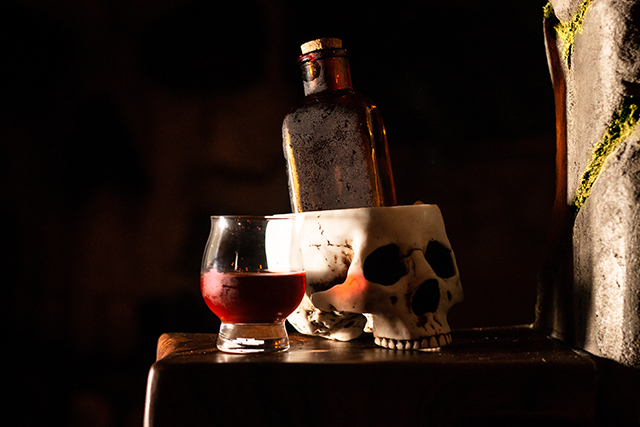 Fine rums are often finished via aging in barrels that once held fortified wines, so this drink is as close as one can get to sipping the very elixir itself while still being able to call it a “cocktail.” Appropriate for a drink of such high proof, it arrives in a skull. Tropical islands are more than just sun-kissed beach. While the average tiki drink makes me think of getting a tan, the Hetch Hetchy feels like exploring the wonders of the verdant jungle beyond the shore. The smoked paprika on the rim provides an earthy contrast for the juicy burst of bell pepper that hits your tongue. Overhead, tiny stars of pineapple and lime twinkle softly, and the finish has just enough spice to be invigorating. This drink is wonderfully fresh and alive. Of course, it figures that after I’ve been less than complimentary about tiki classics, my favorite drink at Last Rites would be a riff on one of the genre’s icons. The Marine Layer is their take on Trader Vic’s Fog Cutter, and if I were beseeching the gods, I’d bring this as my offering. The base is vintage Vic: rum, lemon and orgeat, but Last Rites subs a house-made cashew for the traditional almond. Egg white softens the sting of the citrus, adding a silken feel. Sherry and orange add richness to the midpalate, giving the drink a wonderful presence. The old tiki trick of using a splash of soda to impart sparkle works its charms. The real majesty comes from the aromatics. Vic’s choice of gin is a nice touch. The bright notes of juniper compliment the tangy lemon. I love Last Rite’s substitution of St. George’s pear eau-de-vie for Vic’s grape brandy. The fresh, juicy quality of the pear adds extra dimension. The master stroke, however, is the pipe smoke sealed inside a glass jar. It’s mysterious and hedonistic all at once, everything Last Rites stands for. 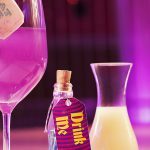 If you haven’t lost that loving feeling for the classics, the team at Last Rites has recreated a handful of the cocktails that made tiki such a profound sociological phenomenon. 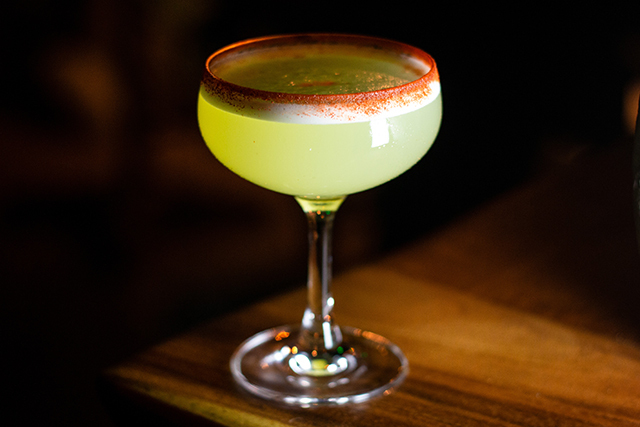 Landmarks like Steve Crane’s Jet Pilot get subtle updates (yerba mate-spiced honey in place of the cinnamon syrup) that taste both fresh and familiar. If that weren’t enough to take you back in time, the chairs at the bar are made from old airline seats. Talk about flying first class. Over and above the delicious drinks and fun decor, you can feel how much the team at Last Rites cares about creating an exceptional experience for their guests. You might not know that co-owner Justin Lew filed down old beer bottles with a tile saw to fabricate the perfect vessel for your cocktail, but you’ll feel the passion behind every meticulous detail. 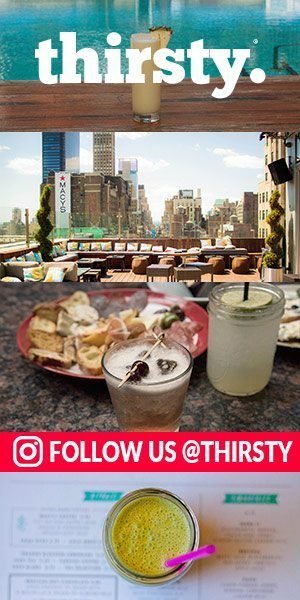 This is a great bar with great drinks made by people with great love for the art of hospitality. Here’s to crash landing in paradise.